Your birthday password is no longer cutting it but the best chrome extensions and Gmail apps can save the day. Selecting a password is a process, and that process is different for everyone. I like to make sure that my password is not only something I can remember but also something that I can type quickly. Long, confusing, complicated passwords are out for me. For all of you out there that have one password that you use for everything… that ship has sailed. New tools are requiring longer passwords, some with special characters, capital letters, lower-case letters, and even numbers, too. 47% of users are still rocking a password from 5 years ago, according to TeleSign. Even, though we are not doing much to protect ourselves we all don’t want to fall victim to internet security issues. 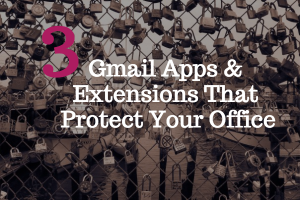 Here are 3 easy Gmail apps and extensions that will increase your security with the ease of not having to remember long, difficult passwords. The Keeper Web App stores all your most important files all with only one password. Log all your complicated, long, and super secure passwords into the Keeper Web App and it will load them for you while you are surfing the web. This Gmail app is a digital vault your office should look into. Are you looking or wondering what makes a “strong” password? Many times they will rate a password and often (at least for me) they rank a password somewhere in the middle. It can be difficult to figure out a password that is the most secure. With Gmail apps like Password Generator you no longer have to waste time thinking of new passwords. Google Chrome not only offers great Gmail Apps, but they also have extensions that can really buff up your browser. One of those extensions, LastPass is a very popular option for password protection. More than 3 million users are currently using LastPass on Chrome alone. LastPass also works across your smartphones, tablets, and other devices. Hubspot tells us that 40% of people have fallen victim to online hacking. 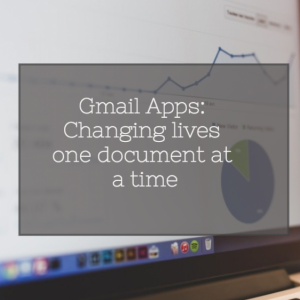 Share these Gmail apps with your team, co-workers, friends, and family. Your online data will be safe and secure for all of your top secret inventions, innovations, and selfies. Sign up for you FREE Ving account now! And don’t forget to make sure your password is protected.